Properties in Dare County average 4.5 out of 5 stars. Property 2: The Maiden in Buxton: Oceanside & Steps from the Beach! Property 7: The Skipper in Buxton: Oceanside & Steps from the Ocean! Beach Haven, NEW & Renovated, 2018! , less than 1 block to beach! Full kitchen. Property 10: Beach Haven, NEW & Renovated, 2018! , less than 1 block to beach! Full kitchen. Property 11: Bright And Cozy Two Room Unit, Close To Beach And Sound -- Perfect For Two! 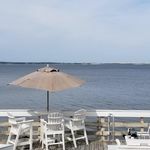 Live like a local in the heart of Nags Head! Property 12: Live like a local in the heart of Nags Head! Property 13: Treetop retreat. Perfect for one or two. Affordable Studio and close to everything! Great for Couples/Small families! Property 14: Affordable Studio and close to everything! Great for Couples/Small families! Property 15: Stones Throw Downstairs, nearly on the beach with no stairs! Atlantic Oasis ,NEW for 2018,Renovated, less than 1 block to the beach! Property 16: Atlantic Oasis ,NEW for 2018,Renovated, less than 1 block to the beach! Beautiful ocean view apartment-King master bedroom-sleeps four. Property 25: Beautiful ocean view apartment-King master bedroom-sleeps four. Property 36: Affordable Hatteras Apartment near the Beach! Property 38: Like no other. Really! Check it out. Property 41: Oceanside Efficiency with kitchenette and beach access! Outstanding resort, staff was very nice and respectful.. Great place to bring children. Unit was spotless, cozy and up to date. Only down side is the walls are very thin, you can hear everything that goes on next door to you. Other than that I would recommend this place to anyone who has children and wants to get away. Laura was very attentive and a wonderful host! She offered great recommendations to local restaurants :) my husband and I loved our stay here!